Pros: “Mathematicians play,” the authors state in their introduction. 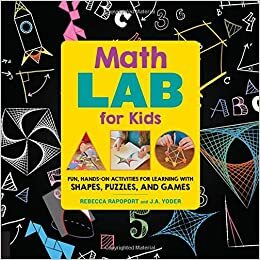 If you think you hate math, or you know a child who hates math, this book may be just the remedy. 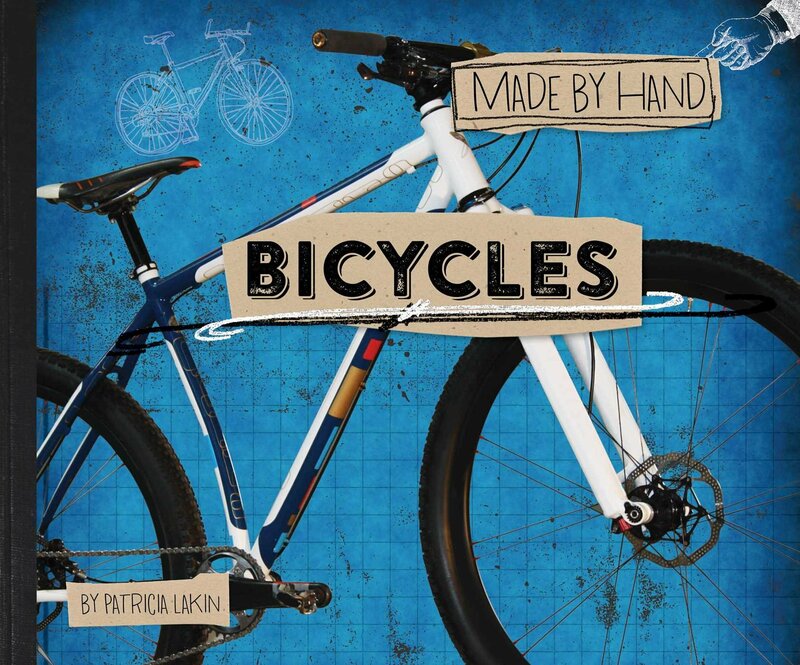 Every activity looks like fun and is simple to set up, yet leads to a mathematical way of looking at the world. The colorful photos of kids engaged in the activities and the simple, clear diagrams add to the fun. Cons: My neighbors may call for reinforcements when I head outside with five feet of string, two broomsticks, and some chalk to draw a giant ellipse in my driveway. Summary: A celebration of gardening and plants, told in rhyming text. Gardens can be anywhere: “An old empty lot/makes a good growing plot. But a pan or a bucket,/a pot or a shoe,/a bin or a tin, or a window will do.” You just need seeds, dirt, water and sunlight to grow all kinds of things. The landscapes shown are mostly urban, and the gardens range in size from small containers to large plots. 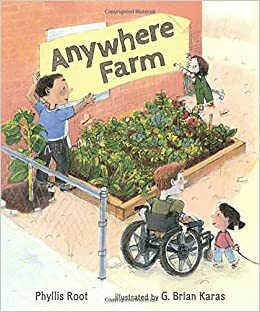 If enough people in your community get inspired, the anywhere farm might just turn into an everywhere farm. 32 pages; ages 2-7. Pros: Perfect for springtime, the rhymes are extra catchy and would be fun to read aloud. The gardeners come in all shapes, sizes, ages, and colors, and the gardens are equally diverse. Cons: The whole gardening process is a bit oversimplified. Summary: In this modern-day middle school retelling of Cyrano de Bergerac, Gracie discovers quite unexpectedly that she has a crush on her friend A.J. When A.J. is asked in a convoluted series of maneuvers which girl he likes, it turns out to be Sienna, Gracie’s pretty, sporty best friend. Gracie has grown up with parents who lost their first daughter at a young age, so she knows it’s important to keep people happy and never let on when you’re feeling upset. When Sienna feels awkward about texting A.J., Gracie takes over as the voice of Sienna, pleasantly surprised by how witty A.J.’s texts are. She’s able to comfortably report all this to Emmett, the vertically-challenged boy next door who has been her best friend since preschool. 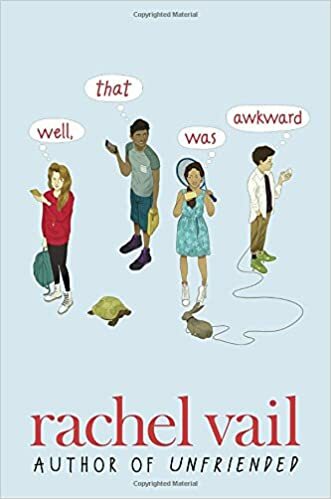 Secret identities are revealed, feelings are hurt, and relationships shift cataclysmically at a single eighth grade party, as Gracie realizes that being 14 is way harder than being 13 ever was, but maybe more rewarding as well. 320 pages; grades 5-8. Pros: Middle schoolers will zip through this fresh and funny novel. 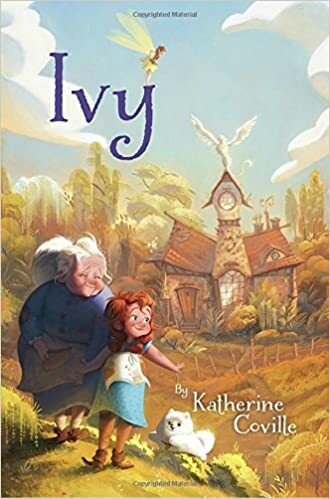 There are no big surprises about who ends up with whom, but the realistic characters and settings, as well as Gracie’s slightly sarcastic but caring voice will keep them hooked until the end. Cons: Gracie’s and Emmett’s constant quipping Got. Kinda. Old. Summary: Badgers Tic and Tac are bored. They reject several ideas from their mother, until she suggests they help her hang the laundry on the clothesline. She leaves them to the job while she heads to the market. When the laundry basket has been emptied, the boys are still enjoying their new activity. They move on to the winter clothes and blankets, then pillows, lampshades, and even the toaster, adding twine as they run out of clothesline. When Ma Badger returns, the reader gets an aerial view of what she sees, lines running all through the yard with every imaginable object hanging from them. Calmly, she informs them that they forgot a couple of things. The final page shows Tic and Tac hanging from the seats of their pants with clothespins, complaining once again that they are bored. 32 pages; ages 3-6. 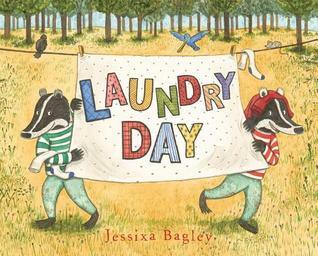 Pros: A funny story brought to life by Bagley’s detailed, colorful illustrations. Cons: I knew right away that trip to the market was going to be a bad idea. 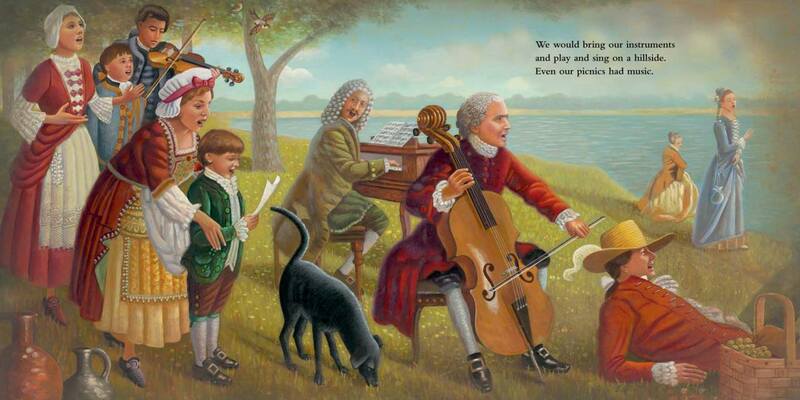 Summary: From the time he was born, Johann Sebastian Bach was surrounded by music (and also, apparently, by people named Johann). His whole family–many of whom, incidentally, were named Johann–made music, so much so that in his part of Germany, musicians were called bachs. His parents died when he was young, and he went to live with his oldest brother, Johann Christoph (traveling with another brother, Johann Jacob). There, he learned by copying music and playing a great variety of instruments, until he was able to express his many deep emotions through his own compositions. The final two pages of the book show the music coming from his organ as beautifully colored floating designs, traveling through time to contemporary listeners. An author’s note gives additional biographical information. 40 pages; grades 1-5. 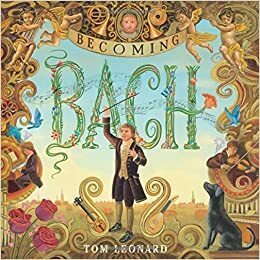 Pros: Spare text, told in Bach’s voice, is gorgeously accompanied by illustrations which also convey information about his life. Cons: Too many characters named Johann.